My second grand-nephew, Gabriel Alphonse, was born Monday morning at 12:52 am. He is 8 lb, 9 oz and 20.5 inches long. And, right on time, I finished his blanket–giving it to my niece in the hospital Monday night. 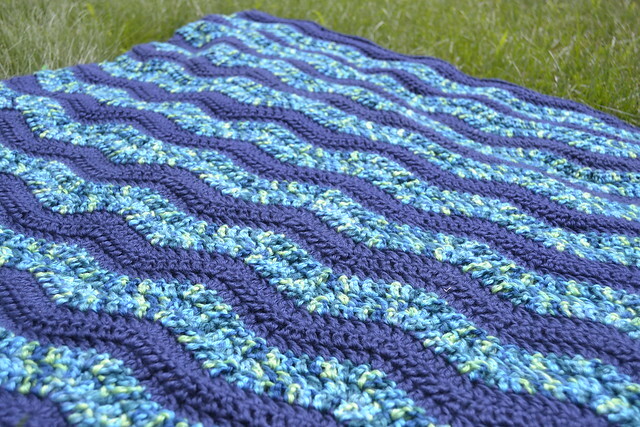 It’s a pattern I’ve used before– Attic24’s Neat Ripple Pattern. I absolutely love this tutorial. It’s so clear and concise. It has TONS of pictures to help you through. It makes for a perfect first crochet project. For mine, I cast on 115 stitches to make 8 waves with a J hook. Each wave is 3 rows tall. This one is made of Caron Simply Soft in Dark Country Blue and Peacock Feather. It finished at 33″ x 35″. It’s the first finish of 2015!!! Linking up with Crazy Mom Quilts Finish it up Friday. 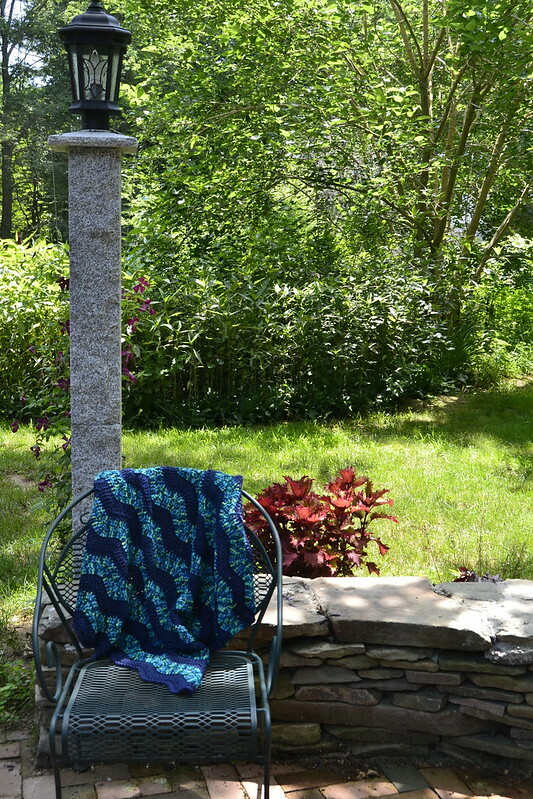 Love the blanket, so different from the granny square rugs I have made for babies in the past. I think its time for a change. Thanks for the inspiration. Hand made gift for babies are the best!